Anyway, we were able to squeeze some family time last weekend. If you've been following my IG account (eneri0411- http://instagram.com/eneri0411#) where I post random every day pictures, you know where we spent our family bonding. We went to Antipolo last Saturday. Why Antipolo? 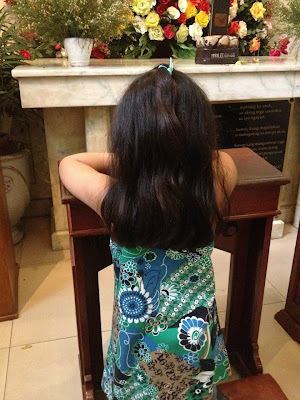 I remember we always go to Antipolo when we are kids to hear the Holy mass. 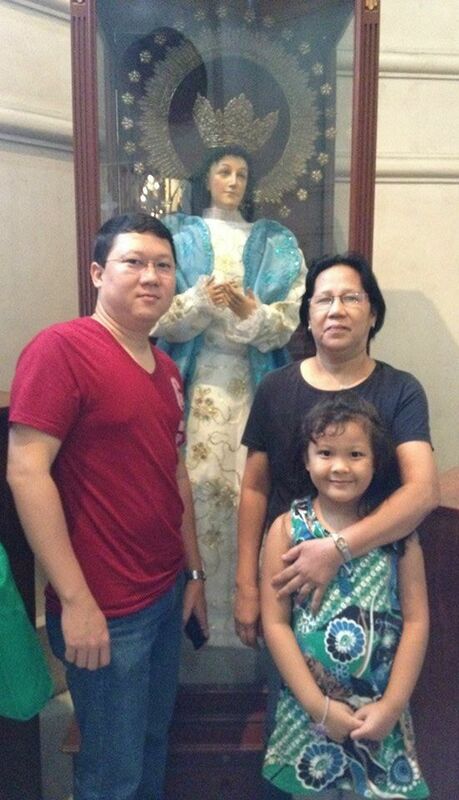 So we started our family bonding at Our Lady of Peace and Good Voyage with a 7AM mass. The church is still the same. 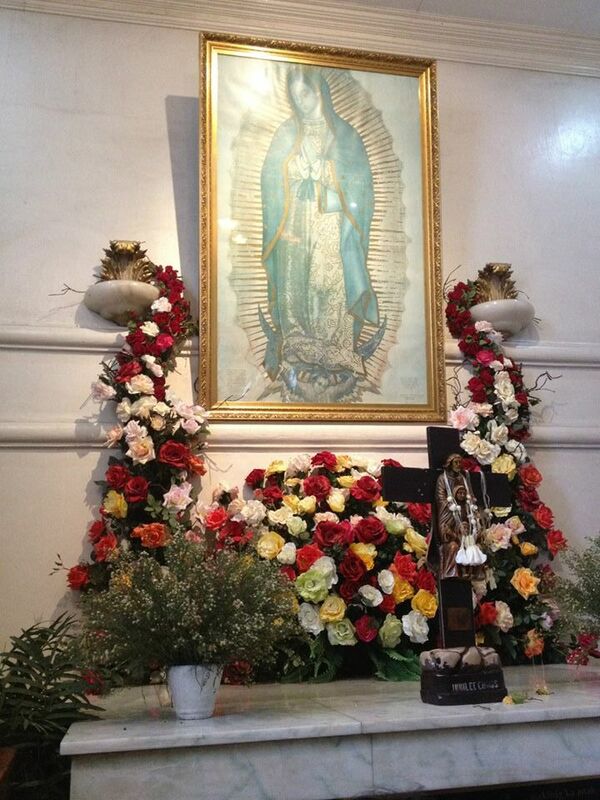 The only new thing I think is the very modern Adoration chapel at the left side. Also, the church is undergoing a renovation. After the church visit, we bought kasoy, suman, and bukayo then we went to Via Dolorosa for the Station of the Cross but too bad it's closed. 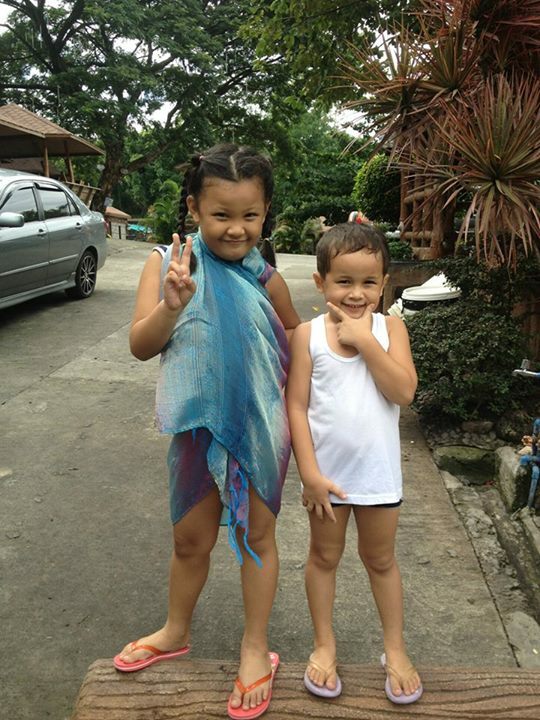 Since the kids are too excited to swim, we proceeded to Bosay Resort. I personally chose the resort because they have many amenities from cottages, rooms, and VIP rooms. Well I wasn't expecting anything grand naman as long as the kids will enjoy, ok na yun! Well, I'll just post some pictures and give you my feedback of Bosay Resort after. hihi lookie it's a trash bin! Cute no? The reason why I go for Bosay resort is because it has many rooms/cottages you can choose from. We will just stay until 5PM but Nanay wants to sleep so we got the VIP room. You should pay the entrance fee (Adult: P170 Children: P140) aside from the room rate. Well the room is good for 2-4 persons only but outside the room, we have an umbrella type of cottage so this is not a problem. The room is clean, with good Air Conditioning, and spacious. The kids had a good sleep for two hours, the only issue we have is the water supply - medyo mahina. The hotel (pictured above) is for those who want to stay overnight. I love their hotel design, native but quite modern with a wooden design that's perfect for the area surrounded by trees and plants. Nakakarelax tingnan. It's big but I find the rate too pricey. You can find the rates here. We walk around the resort and I don't like that some roads are too steep and uphill (pictured above with my sister in Darna position) - not safe for kids. And when you walk around with the kids, pagod sila for sure hihi. They have complete facilities and life guards are doing their job properly. All the pools din pala, regardless if it's a kiddie pool or not, start at 3ft so the kids can still enjoy it. The pools also have proper boundary marks and labeling (5ft or 6ft). So overall, in a scale of 1-10, where 10 is best, I give Bosay Resort a 6. And the most important thing as always, the kids had fun and enjoyed swimming. This is Meg's usual get-up when we go to the mall - shirt, pants, and comfortable sandals. Flights booked on Tiger Airways from June 1 until June 30, 2013 and with travel dates from July 1 to September 30, 2013 can be availed with for free. Among the destinations that Tiger Airways Philippines flies to are Singapore, Bangkok, Hong Kong, and local destinations such as Clark, Laoag, Bacolod, Kalibo, Cebu, Iloilo, Tacloban, and Puerto Princesa. It has also increased its flight frequency between Manila and Bacolod, and Cebu and Kalibo. A Singapore to Kalibo route will also be launched on July 18, making the carrier the only one to directly fly this route. For more details, log on to www.tigerairways.com or like us on Facebook (all zero fare updates will be made on this page) at https://www.facebook.com/flyseair . I don't think much of vitamins/supplements to give Meg compared before when she was younger. Yes, she still drinks her vitamins and I am confident that since she eats a lot now, it is already enough for her. But I guess I am not totally right. Last June 13, I was invited to the Champs vitamins launch along with other Mommy bloggers. 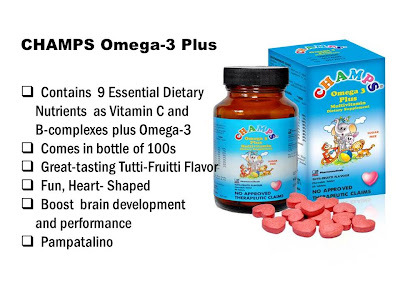 Before giving any supplement to your child, evaluation by a Pediatrician is necessary. Give the supplement at the same time of the day to establish a routine. Meg takes liquid vitamins until now, this time without having to play airplane-airplane, choo-choo train, or brroomm-brrooommm for her to open her mouth. 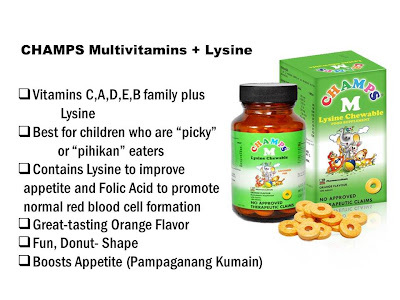 Believe me I tried all the tips during her younger years not to mention some vitamins has an after-taste and smells like medicine. Familiar scenario, eh? Good thing there are more choices now in the market and CHAMPS is definitely a must-try for kids. 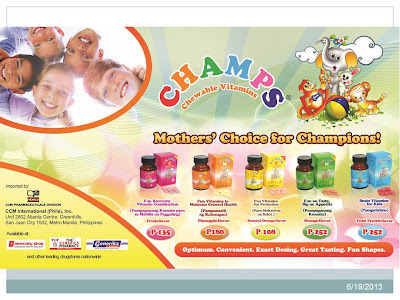 Alina A. Iledan, Business Manager for CCMIP-Pharmaceuticals Division introduced CHAMPS and its variants. CHAMPS is a brand for multivitamin preparations designed for the health and wellness of the Pediatric age group. 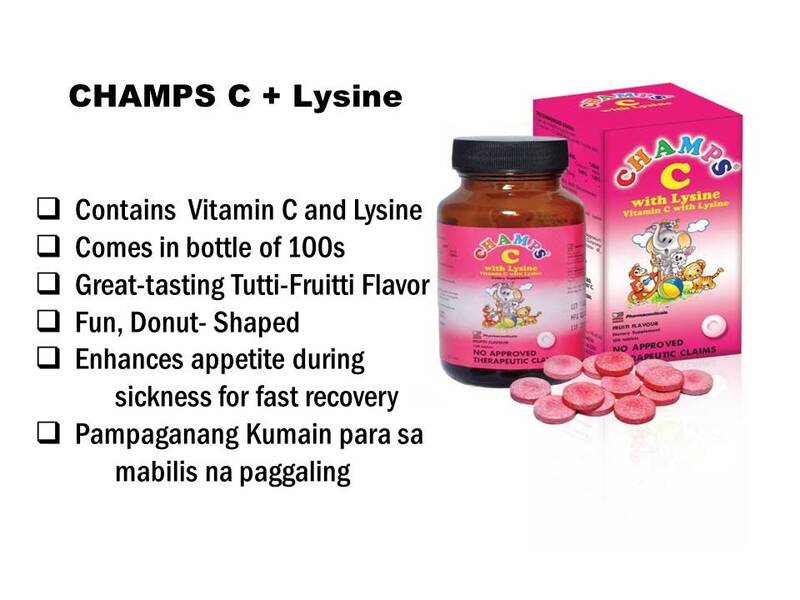 It comes in several variants - CHAMPS Vitamin C, CHAMPS M, CHAMPS M with Lysine, CHAMPS C plus Lysine, and CHAMPS Omega 3. What is so good about CHAMPS? 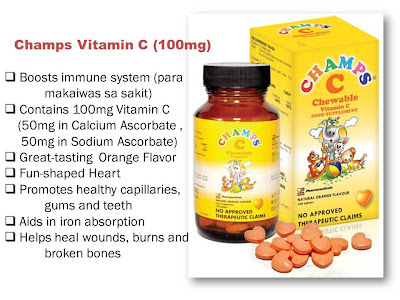 CHAMPS multivitamins come in small chewable tablets (YES!) and in various shapes and tasty flavors. 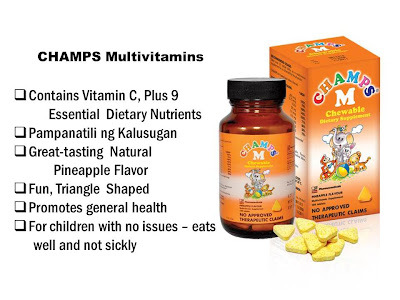 Our kids can take the vitamins the fun way because CHAMPS come in candy form and with good flavors (orange, pineapple and tutti-fruitti) to suit the taste of children. Where can we buy CHAMPS? These are available at Mercury Drug, The Generics Pharmacy, Generika, and other leading drugstores nationwide. Look at the different prices, fair right? 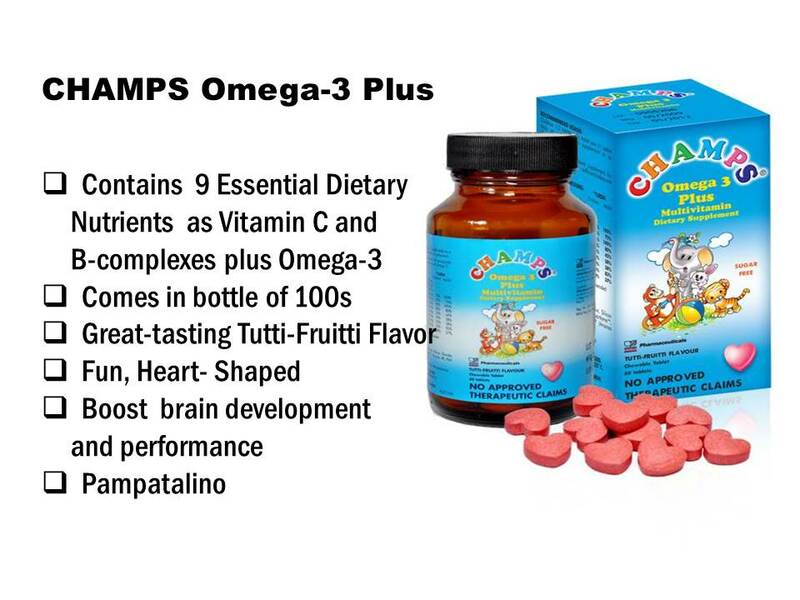 These are imported by CCM Pharmaceuticals Division. The Chemical Company of Malaysia(CCM) is the largest generic company in Malaysia. It has 4 big manufacturing plants in Malaysia that have been recognized by both local and international bodies for its good manufacturing practices. 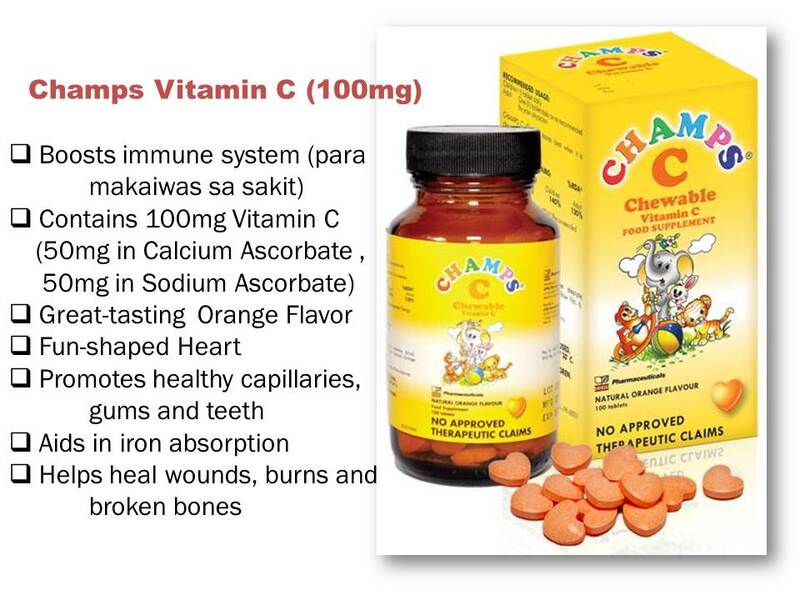 So if you are having a hard time letting your kids drink vitamins, try CHAMPS chewable vitamins (with your Pedia's advise), just put vitamins away well out of reach of children, so your child does not take them like candy. Also, only half a tablet is allowed for kids below 2 years old (again consult your Pedia first). And REMEMBER: Vitamin supplements are important to our kids' health especially those with special cases and diseases, however, a balanced diet and good eating habits should come first. I'm happy I was part of the Bloggers Get-to-Know Champs Day. The event was super organized, intimate, and very informative. 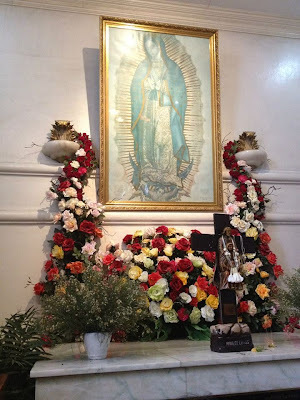 Thanks to Ms.Mylene Marquez and CCM for inviting The Wh-o Mom. Until your next event? 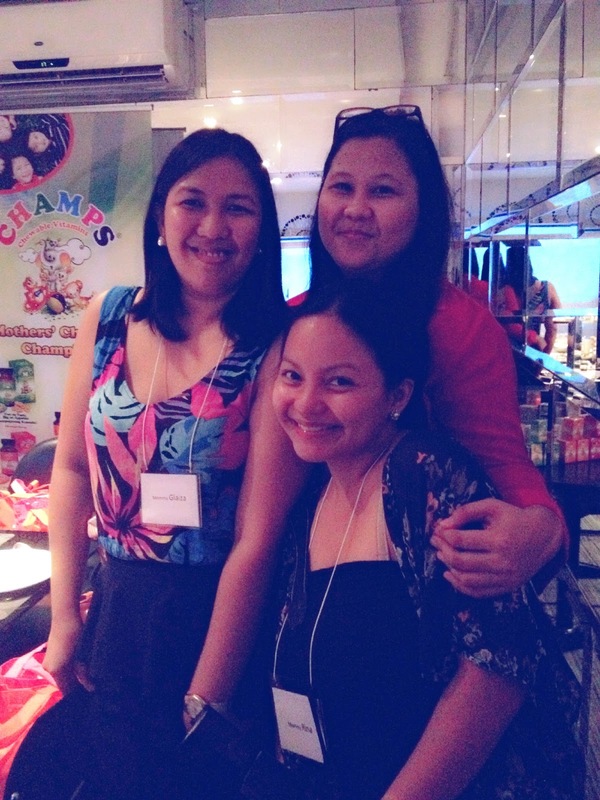 Here's a picture of me, Glaiza of Moomy Musings and Rina of Rina's Rainbow. Australia was highlighted once again among the world’s best destinations for quality education on the latest education fair organized by IDP Education Philippines last month. The Australian Education Exhibition for 2013 was held at the Marco Polo Hotel, Davao last Friday, May 17. It then was moved to the Dusit Thani Makati the day after, culminating with its Cebu staging at the Radisson Blu Hotel Cebu last Sunday, May 19. The United Nations Educational, Scientific and Cultural Organization’s Institute of Statistics had reported that Australia ranked among the top five destinations for tertiary education among the world’s mobile students. In 2010, it received 17% of the total number of students hosted in the East Asia and Pacific countries, which was second only to the United States. From July 2011 to June 2012, there were 2,633 Filipino students who had gone to Australia to study. This made it the Number 1 study destination for Filipinos. Students preferred to go to Australia for diploma, certificate, training and further education (TAFE) because the country offered many benefits, foremost of which were internationally recognized qualifications, part-time work opportunities and higher post-graduation employability potential. Changes were made in March to the Temporary Graduate visa which allowed fresh graduates the opportunity to spend more time in Australia (to gain practical experience) following completion of their bachelor’s, master’s or doctoral degrees. As this continued to host students from different cultures, Australia was also able to offer an increasingly diversified cultural environment. Graduates then had the advantage of being exposed to a variety of cultures and built an international network of contacts which they can tap into once they enter the workplace. IDP Education Pty. Ltd. was the world authority in Australian education being 50% owned by 38 Australian universities. It was the world’s largest student placement and English language testing services provider. IDP Philippines opened in 1996 and had since provided free admissions and visa counseling to place thousands of students in colleges and universities in Australia, the US, UK, New Zealand and Canada. The annual Australian Education Exhibition brought representatives of Australian universities and TAFE colleges to the Philippines for direct consultations and admissions facilitation and was considered the best means for students to have considered available education options, providing information on courses and programs, admissions requirements, costs and living arrangements. Filipinos were on the brink of becoming a significant player in the international market. The deployment of the young abroad to achieve not only a better understanding of other people but also advanced systems can only enhance the advantages they now have. There was no block or hindrance to achieving international recognition except for the reluctance to try. Filipinos, forged ahead! Pre-registration was required for the seminars. Like IDP Philippines on facebook or call 236-2758 for more information. As much as I don't want to divulge how I love Coke, I could not deny the fact that it is always present on our table. Remember the super-hot summer we had? I know all of us, in some way, had to drink more ice-cold Coke to quench our thirst. During birthdays, fiestas, ordinary fried-days, and even just dining out, Coke is in every occasion we can think of. Coca-Cola once again launched a new part of their brand in three malls over the Metro- Ayala Trinoma Mall, Ayala Market! Market! Mall (Taguig City) and Glorietta Mall (Makati City). Crates were placed in these malls respectively and the unveiling of the said crates was done last June 8. I was at the Trinoma mall to witness the launch of the Coca-Colas's new offering. 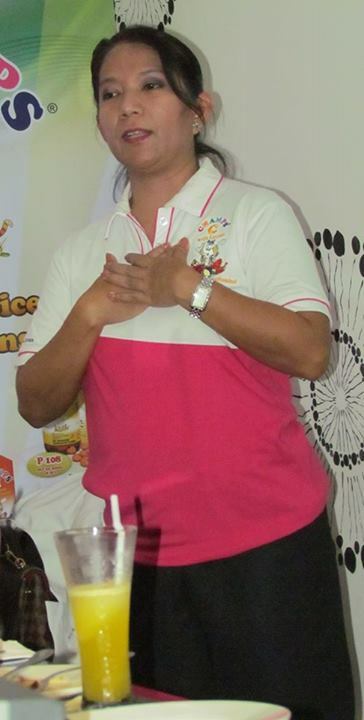 The event was hosted by Ms.Iya Villania. The UE Pep Squad opened the event. 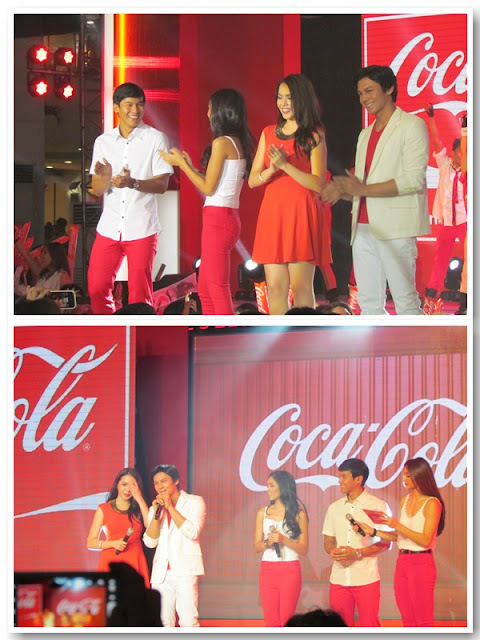 At this point of the event, fans were literally screaming so hard while waiting for the Coke Ambassadors Enchong Dee, Julia Montes, Joseph Marco, and Kathryn Bernardo. When Iya introduced the four celebrity ambassadors, the crowd literally went so intense and filled the Trinoma Activity center with storming screams! While they were so ecstatic about seeing their idols on stage, I was struggling so hard to get a good shot for this post haha! Joining them are the four Glee stars Jacob Artist, Melissa Benoist, Dean Geyer and Becca Tobin. I thought the screams will subside but once again when the Glee stars entered the stage, the fans even doubled their screams! I am a fan of Glee but I think I lose a part of me since I am really trying so hard to take a nice and clear picture. 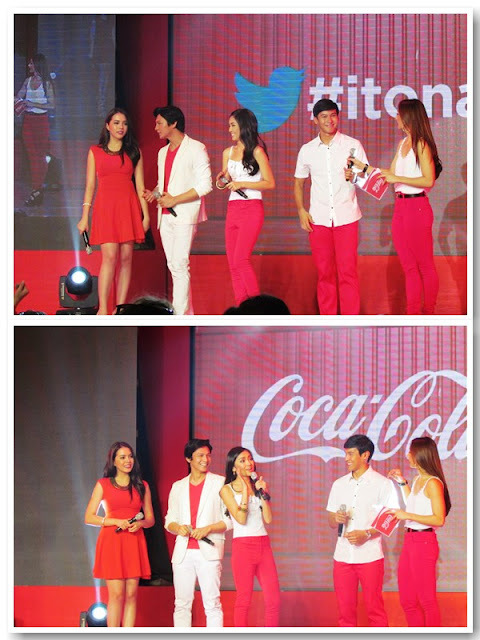 At the time that the crate was unveiled, the whole of the TriNoma activity center witnessed the birth of the Coca-Cola Mismo 300 mL pack. The Coca-Cola Mismo 300 mL at only P10 allows more Filipinos to enjoy delicious taste and unique refreshment in a 300ml PET bottle that is easy to carry anywhere. For young troopers who are always on the go, say bulky bottles or even plastic bags from sari-sari stores no more, Coca-Cola Mismo provides instant access and portability to that ice-cold bottle of happiness. Coca-Cola continues to be the catalyst for happiness and with this event, the fans surely had so much fun and made that afternoon a certified Coca-Cola Mismo Day like no other. The Coca-Cola Mismo Sarap-to-Carry 300mL at only P10 is available in sari-sari stores in Metro Manila. Itong ito na talaga! Like PresidentforHappiness on Facebook and follow Coke_HappyPrez on Twitter to share your #mismo moment! By definition (Merriam-Webster), it is an establishment providing facilities devoted especially to health, fitness, beauty, and relaxation. The latter word RELAXATION would best define the reason why we frequent Spa nowadays- the de-stressing effect and the feeling of calmness. And what about a Baby Spa? Yes, even young infants and toddlers are prone to stress which is usually caused by the environment and other outside factors. That's why BlueWater Day Spa is proud to launch its signature Baby Massage Treatment enabling them to address these wellness needs. 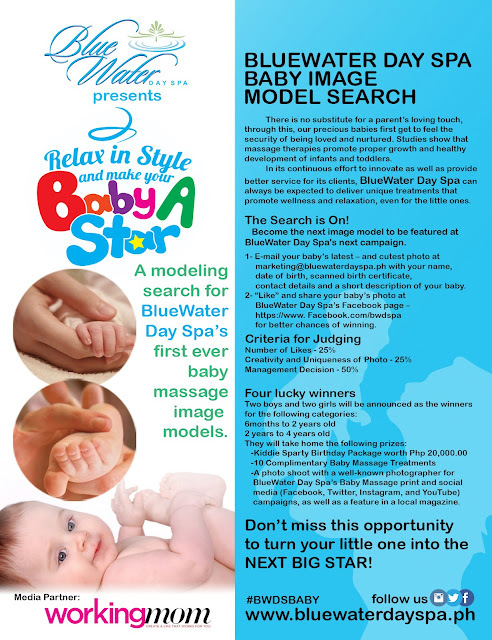 Given the support that the treatment has received since it was first introduced, BlueWater Day Spa would like to further promote the benefits the Baby Massage Treatment (and also a way for thanking parents who have availed of the treatment for their babies) through its latest promotion, the first-ever search for BlueWater Baby Image Models. 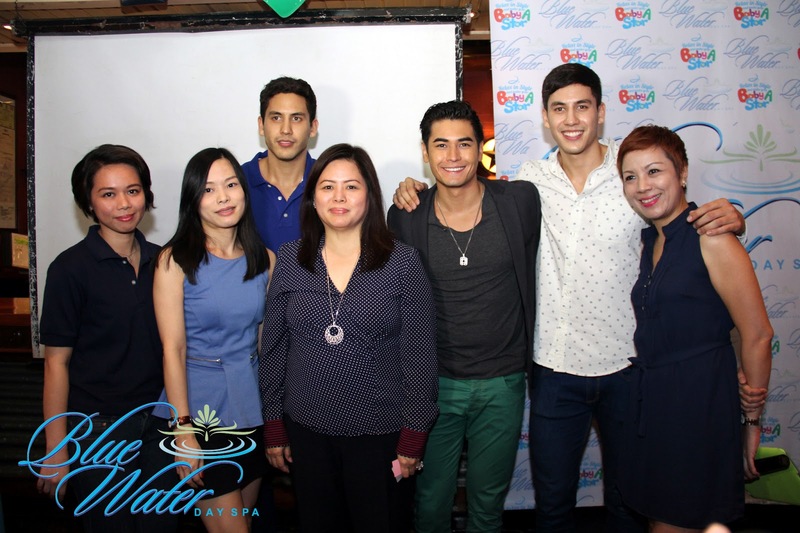 I was very happy to attend the "Promo Shower" along with other Mommy bloggers who enjoyed the games and activities at Chili's Grill & Bar Greenhills. The launch was hosted by Rikka Dylim with the 3 hot guys who made the games fun and exciting for everyone. 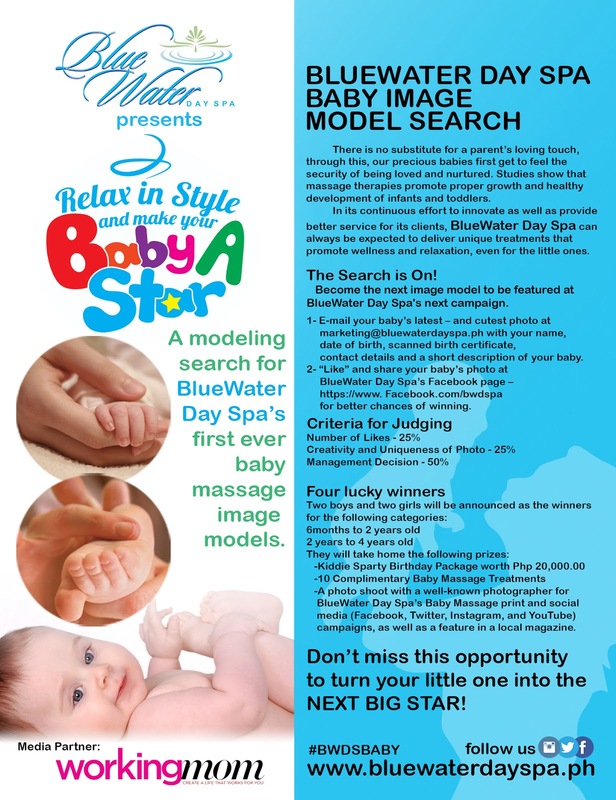 A modeling search targeting cute babies who will become BlueWater Day Spa’s image models for its signature Baby Massage, the contest will run from June 6 to August 6, 2013 and is open to all babies and toddlers ages 6 months – 2 years old (two winners: boy and girl) and 2 years – 4 years (two winners: boy & girl). Restrictions: Entries with incomplete information and requirements will not be processed. All BlueWater Day Spa employees and relatives up to the second degree are not qualified to join. Photo Shoot to be scheduled on August 2013. To be featured in a magazine after the Photo Shoot. The four (4) winners will be announced on our Facebook and Twitter pages on August 8, 2013. What are you waiting for? Join now and Make your Baby a Star!